Creates a hardwearing, presentable and durable turf for high traffic touring sites. 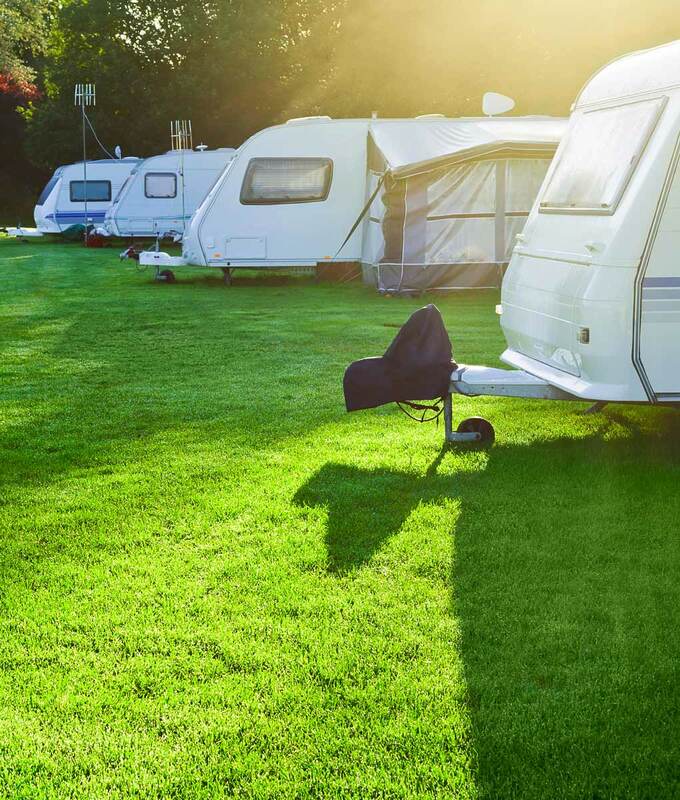 This mixture is designed to make the most of amenity grass species which do best under the sometimes challenging conditions on and around your campsite, car park, caravan and camping field etc. The resulting dense and durable turf (capable of some self repair) is ideal where tolerance to high vehicle or foot traffic is paramount to maintaining good grass cover over well kept sites. Once established, the area may be managed as a short, presentable turf which will remain in good colour throughout the year. All the species in this mixture are very hardy and the blend is constructed to do well on light, free draining to a heavier clay soil. Sow at the higher rate for more uniformed establishment and faster initial ground cover. Maintain a cutting height of 25 to 50mm. Finally, use a light to medium weight flat roller to squeeze the seeds and tilth down into the seedbed. This method ensures the amenity grass seeds are evenly spread, set at different depths and in good contact with the soil. All of which helps to anchor the seeds in position so as not to float away during heavy or persistant rainfall and to retain the correct moisture level for quicker germination.